Easy to carry, cheap to reproduce and distribute, pamphlets have historically been a key format for distributing political, religious, or fringe ideas. It also happens to be a great format for tabletop rpg adventures! 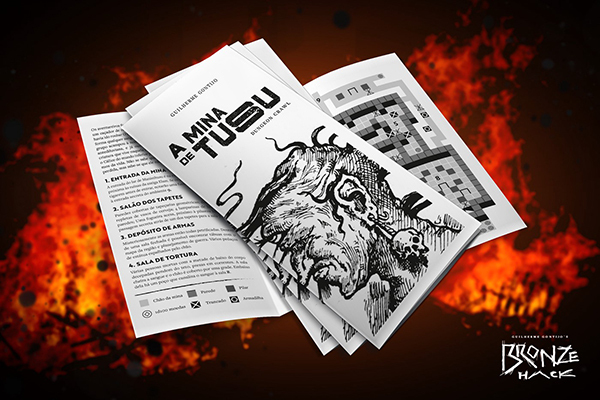 This April, create a tabletop role playing dungeon/adventure that fits on a Letter or A4 sized piece of paper trifolded into a pamphlet. Anyone is welcome to participate as long as their submissions contain no racism, sexism, homophobia, or transphobia. Hate speech will not be tolerated. There are no rules about distribution of your entry. You can submit a paid product or a free or PWYW entry. 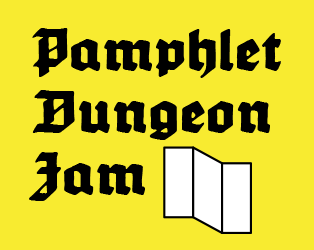 One of the goals for this Jam is to provide a place to workshop projects, so if you want feedback on your pamphlet please specify that in it's description. Be kind and courteous when giving feedback. Update your entry as much as you want after you submit it. Here's a resource for creating tri-fold pamphlets and many templates and guides can be found on the internet. 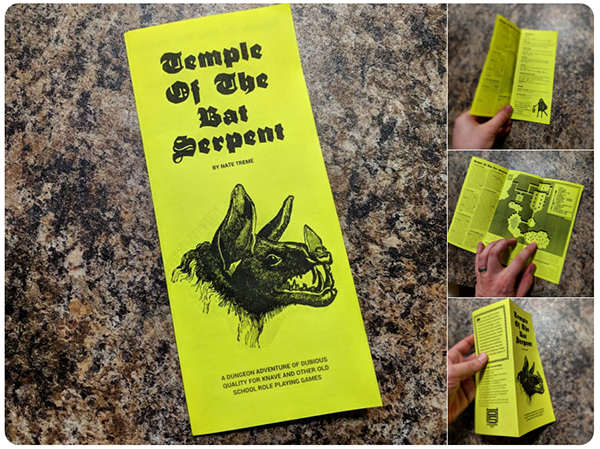 A Micro-Dungeon Adventure in a pamphlet zine format. Escape a dungeon upwards as a tetramino block. The Worst Dungeon Ever. Seriously. Don't play this! Super Murder Death Match 9000 - "The Pit of Despair"